While you need to hold onto many of these items for a specific length of time. The IRS, for example, recommends seven years for tax-related documents.1 When it comes time to dispose of them, make sure to shred them sufficiently so your full social security number cannot be read. A social security number can be used by others to seek out credit, obtain employment, or secure housing under your name. Whether it is a credit card bill or a retirement account statement, anything that bears even a portion of an account number should end up in the shredder. While it may seem like there is not much someone can do with a partial account number, these documents often have other pieces of identifying information, such as full name and address. Combined with the partial account number, a skilled identity thief is off to a good start. Don't make it easy for them. The more personal information on a piece of paperwork the riskier it is to keep it intact. With enough personal information such as birth dates, full name and a street address, a person could begin the process of identify theft. This also includes medical bills and records that you do not need. Some bills and forms provide a lot of information about medical conditions and prescriptions that you would probably want to remain private. Not only can your photos be used to perpetrate identity theft, but they can also be used for other malicious purposes especially with the rise in social media use. To raise money on crowdfunding sites many people have used photos of other people's children to solicit donations or photos of others to make fake social media profiles. Yes, believe it or not, junk mail can contain a significant amount of personal information about you that identity thieves would love to come into possession of. You will often receive many offers for loans or credit cards or even membership offers to such clubs as AARP that includes bar coded information on the bottom. Most people will throw these items straight into the trash without a second thought as they have not provided any personal information. Unfortunately, when you are pre-selected for these offers, the company will create a barcode or this information that can be read when your form is sent in to accept the offer. Those adept at identity theft can unlock this information and gain more personal information about you than you would expect. Lower your risk of identity theft and prevent your photos and personal information from being used for fraudulent purposes by shredding the documents above as soon as you have finished with them. 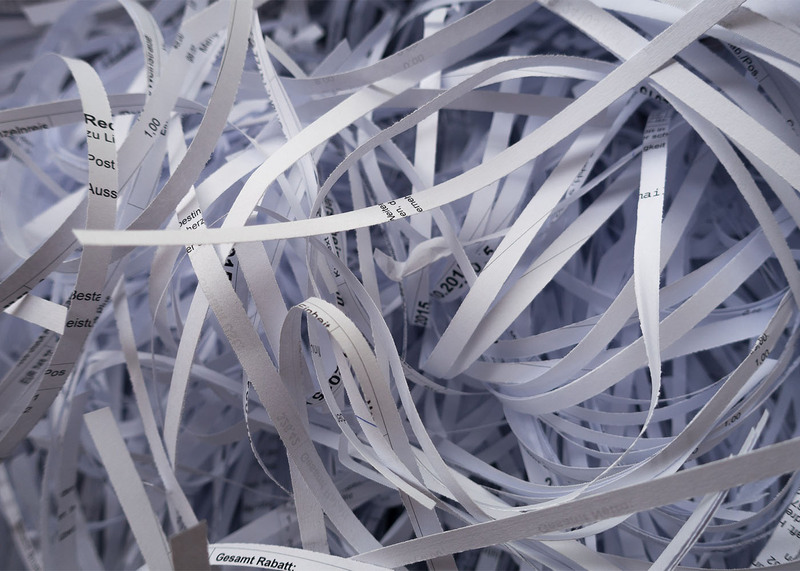 If you aren't sure whether a document should be shred it is best to always air on the side of caution.